Sales are the lifeblood of any business, and accurate sales forecasting can be the difference between surviving, thriving and business failure. But with the technology now available to you there is really no excuse for getting your forecasts wildly wrong. At its most simplistic, business success depends on two things: growing your customer base, and selling them your goods and services at a profit. 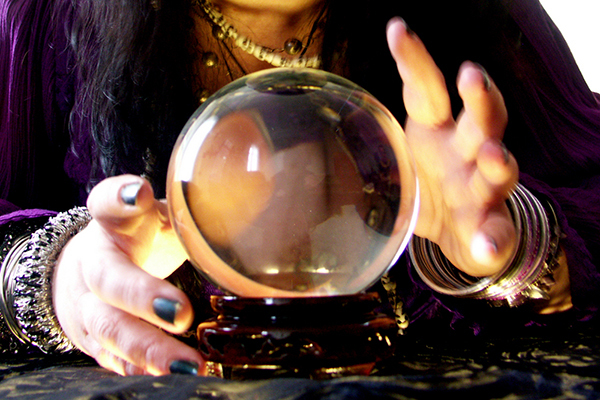 Forecasting sales accurately is essential for both, and your success depends on it. If you don't know where your sales are coming from or how many sales you’re going to make this coming year you could be setting yourself up for big problems ranging from stock shortfalls to cash flow issues. Sales forecasting is vital in every sector and every business. It is both driven by and feeds into your propositions and marketing. For example, if you’re forecasting at less than your sales targets for the year, you may need to ramp up marketing activity to close the gap. According to stats from AMR Research a 3% increase in forecast accuracy increases profit margin by 2%. Being able to forecast effectively requires a reliable overview of your organisation, together with a way to monitor the factors that will influence your future sales. How do you use historical data to project next year’s sales levels? Will changes in your market alter customers’ levels of demand or types of requirement, for example, seasonality? Perhaps you're a retailer with a big dependence on Christmas sales. You need the right level of stock, in the right stores, to avoid running out; but how much? Conversely, if you have too much inventory in March you'll have money just sitting on the shelves doing nothing. And it’s not just about businesses that produce tangible goods. Service providers, where most of the costs are staff-related, can't afford to have people sitting around waiting for work; but they must still have enough people on hand to fulfil orders when they do come in. In short, you need to get your sales forecasting right. Accurate forecasting can be difficult, but not impossible. For established businesses the maths involved in sales forecasting is usually straightforward as they will have previous sales figures to work with. All things being equal you will probably hit the same numbers as last year. However, most business want sales growth, not just stasis: and predicting that growth is more complicated. What do we need to do to achieve the growth we want? Where do we need to invest? If you have a good understanding of your sales process, which channels drive sales, what marketing channels have the best ROI and where your business is haemorrhaging money you’ll be able to decide what needs to be done to achieve the growth. You can also adjust your forecasts if you think you can do more or if you think you’ll fall short. Many businesses find it hard to source and sift their data to pull out this kind of information easily. This is where technology can help. Sales forecasting software can analyse large amounts of data from past sales to give you an insight of overall trends, or it can help you create a forecasting process from the ground up. An even better option would be a CRM system with sales forecasting capabilities that can automatically bring in data from across your organisation be it, sales, service or marketing. This data-driven approach takes the guesswork out of sales forecasting, improving accuracy and helping the people to better understand it. You’ll be able to answer the above questions and get new insights such as the velocity of sales leads moving through the funnel and which customers are ready for an upgrade. Not only are you able to make more accurate predictions of sales performance but you now know where you should invest and give your whole organisation a better basis for business planning. And the benefits aren’t just at organisational level, you can make more accurate forecasts for each team, with team members able to adjust their own forecasts for a more collaborative and accurate overall prediction. The "go with your gut" school of forecasting has no place in today's successful sales organisations. Data is your friend, and harnessing it to forecast your sales more accurately gives you a powerful weapon for business growth. Grab a copy of Sales Forecasting Comes of Age e-book and see how you can turn forecasting into a real time business tool.